This blog has been re-posted and edited with permission from Dries Buytaert’s blog. Open Source communities often incorrectly believe that everyone can contribute. Unfortunately, not everyone has equal amounts of free time to contribute. For example, research shows that women still spend more than double the time as men doing unpaid domestic work, such as housework or childcare. 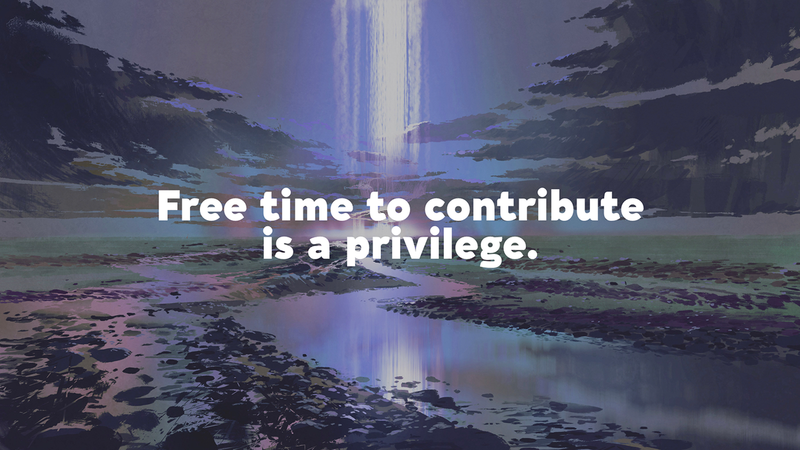 I’ve heard from some of my colleagues that they need to optimize every minute of time they don’t spend working, which makes it more difficult to contribute to Open Source on an unpaid, volunteer basis. Or, in other cases, many people’s economic conditions require them to work more hours or several jobs in order to support themselves or their families. Systemic issues like racial and gender wage gaps continue to plague underrepresented groups, and it’s both unfair and impractical to assume that these groups of people have the same amount of free time to contribute to Open Source projects, if they have any at all. What this means is that Open Source is not a meritocracy. Free time is a mark of privilege, rather than an equal right. 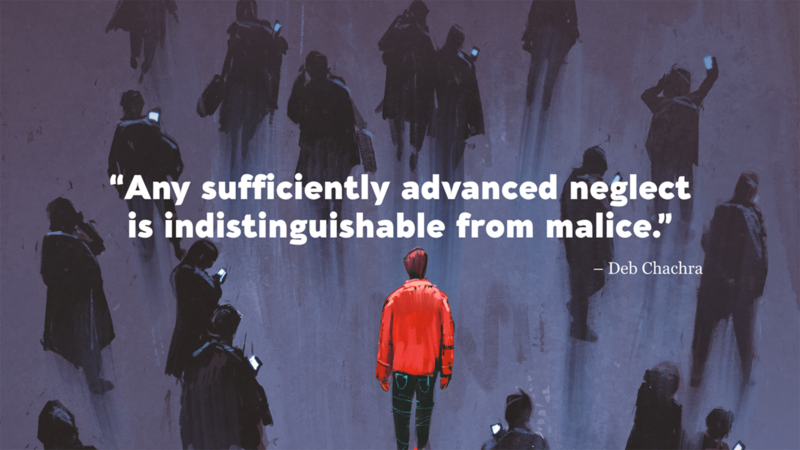 Instead of chasing an unrealistic concept of meritocracy, we should be striving for equity. Rather than thinking, “everyone can contribute to open source”, we should be thinking, “everyone deserves the opportunity to contribute”. 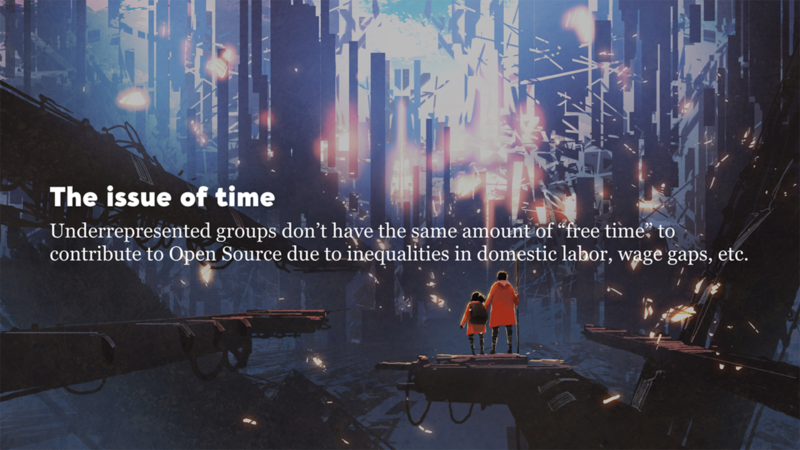 This fallacy of “free time” makes Open Source communities suffer from a lack of diversity. The demographics are even worse than the technology industry overall: while 22.6% of professional computer programmers in the workforce identify as women (Bureau of Labor Statistics), less than 5% of contributors do in Open Source (GitHub). And while 34% of programmers identify as ethnic or national minorities (Bureau of Labor Statistics), only 16% do in Open Source (GitHub). It’s important to note that time isn’t the only factor; sometimes a hostile culture or unconscious bias play a part in limiting diversity. According to the same GitHub survey cited above, 21% of people who experienced negative behavior stopped contributing to Open Source projects altogether. Other recent research showed that women’s pull requests were more likely to get accepted if they had a gender-neutral username. Unfortunately, examples like these are common. As individuals, by making sure you are intentionally welcoming people from underrepresented groups, through both outreach and actions. If you’re in a community organizing position, encourage and make space for people from underrepresented groups to give talks or lead sprints about the work they’re interested in. Or if you’re asked to, mentor an underrepresented contributor. Taking the extra effort to help onboard new members or provide added detail when reviewing code changes can be invaluable to community members who don’t have an abundance of free time. Overall, being kinder, more patient and more supportive to others could go a long way in welcoming more people to Open Source. Over the years, I’ve learned a lot from different people’s perspectives. Learning out in the open is not always easy, but it’s been an important part of my personal journey. Each of us needs to decide if and how we can help to create equity for everyone in Drupal. Not only is it good for business, it’s good for people, and it’s the right thing to do.